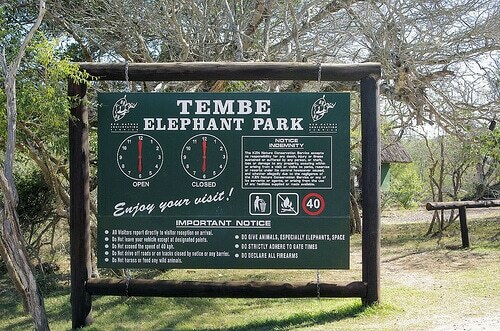 Tembe Elephant Park home to Africa's largest Elephants, this natural 300 square kilometre Park is home to not only the largest Elephants but also the smallest Antelope the Suni. Situated in the North Eastern corner of South Africa bordering Mozambique previously known as the ivory route one still has the opportunity to witness these graceful and majestic animals. With 340 Bird Species and the Big 5 Lion, Buffalo, Leopard, Rhino and of course the Elephants one can only imagine what a splendid safari one may encounter while within the Tembe Park. 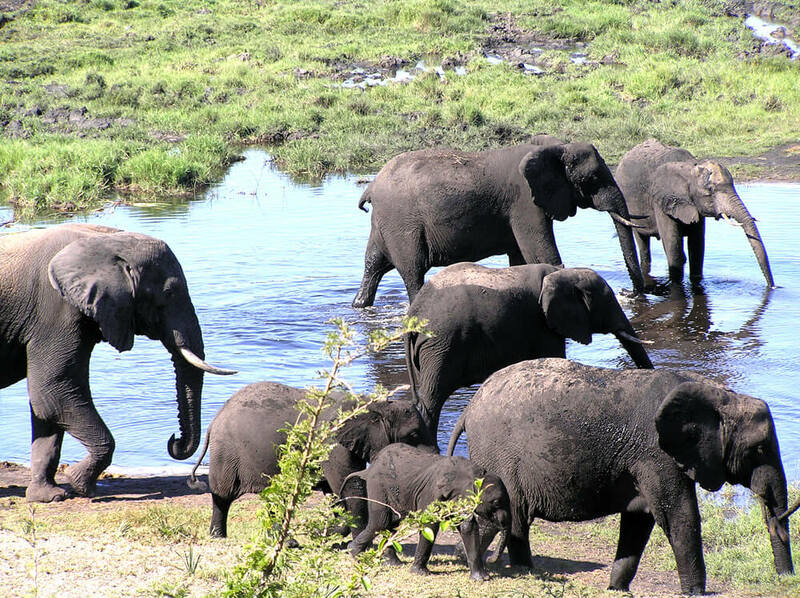 With more than 200 Elephants still within Tembe and the largest being Isilo, Mkadebona and Siqualo. Isilo the eldest aprox 50 years in age his weight is estimated at 7 metric tons and Tusks that may weigh an impressive 60 kg's each and are a total length of 2,5 meters. With less than 40 Tuskers left in the world Tembe Elephant Park truly is a rare but magical place to wonder and discover. The park offers no tarred roads only sandy roads are available, certain sections 4x4 is needed. It's the non intrusive approach to wildlife conservation that has kept this park in its prime condition. The staff compliment employed from the vicinity has also proven beneficial and with experience of the area one has so much to gain while in the Tembe Park. Taking the N2 north from Durban one can expect to travel 3,5 hours to Tembe Elephant Park, the N2 a national road is easily navigable, one may turn left at Hluhluwe and continue on the R22 northbound turn left onto the D1837 rd this road will take you to the Tembe Elephant Park. Some of the roads do have pot holes and care must be taken when travelling, please note that no fences are present so keep to the speed limits as Cattle and Goats do cross the roads. Heritage Tours & Safaris offers overnight safari packages to Tembe Elephant Park, should you be interested please click on the following Link. Travel in a luxury 4x4 SUV with knowledgeable and experienced game rangers. With more than 13 years bush experience travel with Heritage Tours & Safaris. Safari excursions include catering, transfers and while within the park they travel to all of the best spots including various watering holes. Enjoy a 2 night safari package while at Tembe. Witness of the largest tuskers in Africa, while out on one of the safari vehicles, enjoy the hides and lookouts. This package includes 4 Three Hour safaris, Dinners, 2 Lunches and 1 Brunch. Overnight in tents (various categories) and be amazed at the wildlife on ones doorstep. Tembe is truly a wildlife reserve that will captivate ones imagination for years to come.